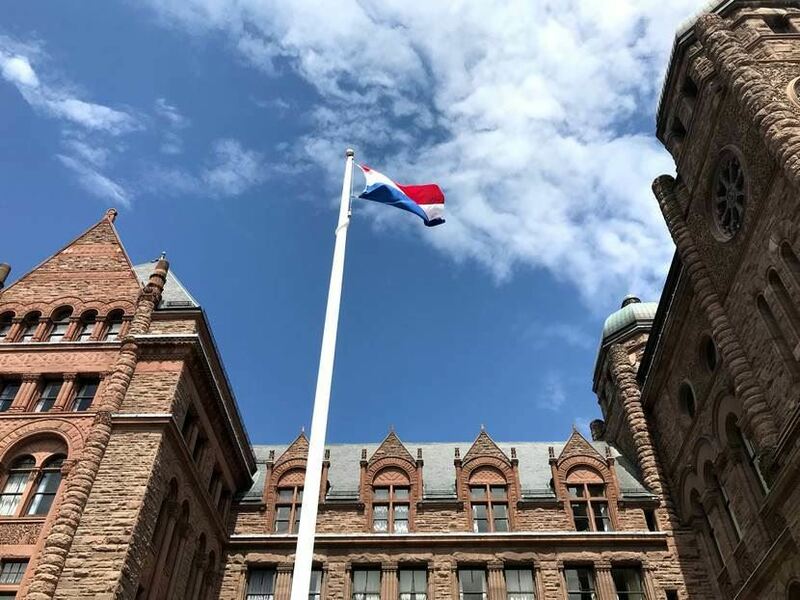 The Dutch Heritage Month will kick off with the annual Flag raising ceremony in Queen's Park in Toronto on May 2, starting at noon. 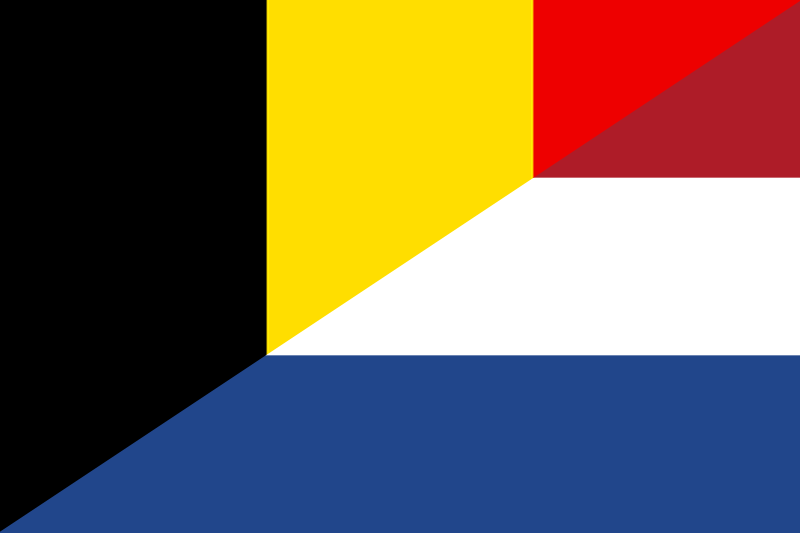 The event is open to the public and will be hosted by the Consul-General of the Kingdom of the Netherlands, Anne Le Guellec. 11.30 am: Doors open, fully licensed bar available. 12.00 pm: Lunch, created by Celebrity Chef Christopher Woods, is served in the dining room. Famous PEOPLE Players House Salad. Chicken Supreme in a magnificent Delicious Reduction, Silky Garlic Mashed Potatoes & Savory Vegetables. Available: Vegetarian/Vegan Stir Fry, Organic Handmade Chicken Nuggets for children (ages 12 & under). The main course is gluten free, gluten free sorbet may be requested instead of dessert. A beautiful Maple Leaf voiced by Dan Aykroyd comes to life and takes you on a musical journey from province to province. You will be WOWED with the animation of the stunning props and the musical that will capture your imagination. This new production has the heart and soul of our country. A tribute to our Canadian artists and inventors are celebrated throughout this Production. From across the Prairies to good old Vancouver town. This is the Best of the Best from Famous PEOPLE Players. Don’t miss this all Canadian Production “it is where special happens”. Famous PEOPLE Players Surprising Dessert by Famous Pastry Chef Dufflet and coffee with the cast. Three course gourmet lunch, MADE IN CANADA, THE MUSICAL, taxes and gratuities. NLC members $65.00. Non NLC members $80.00. Children (ages 12 & under) $55.00. Please indicate on the cheque or on a separate note: the names of the people you are paying for. We will not be reserving tables in advance. Tables of 6 or 8 are available. We will be handing out table numbers at registration. Saturday June 22, 2019, NLC 65th Anniversary Luncheon Cruise along southern Ontario largest river, the Grand River, Caledonia. Motor coach transfer from Toronto and Oakville to Caledonia included. We're looking forward to have amazing food & beer with you! Frites Night gives you the chance to win prizes through its many partners. The CNBPA and The Weather Network invite you for an exclusive behind the scenes session at Canada's most influential brand. (as measured by Ipsos/Reid). Learn about the history of The Weather Network and Meteo Media. Ever wondered how the amber and other alerts reach your phone? Discover the pivotal role that "The Weather Network's" holding company Pelmorex plays in "Alert Ready". Do you know what it is like to present the weather on screen? This is your chance to find out! We will visit the studios to test your presenting skills. Go into the studio and become an On Camera Presenter. Prizes to be won! Note that there is limited participation possible due to a max possible allowance in the studio. Since the late 80s, Slokker Bouwgroup, a Dutch Real-Estate developer and builder, has been active in the Canadian market. In Partnership with the FRAM Building Group, a Mississauga based real estate development and construction company FRAM+Slokker is responsible for projects like "Nola", "Verde" and "The Shipyards". On June the 27th FRAM+Slokker's Vice-President of Finance "Paul Michel" will host an event for the CNBPA at FRAM+Slokker’s head office in Port Credit Mississauga, where he will take us through how the real estate market in Canada is developing and what future major development projects are coming up. There will be ample time to network as well, whilst enjoying a good glass of wine. We look forward to seeing you in Mississauga on June the 27th. In collaboration with the Dutch Canadian Association (DCA) Toronto Chapter, and sponsored by DUCA, we are pleased to announce an event specifically organized for the Children and Families of our members to celebrate the holidays. Cost: $4 per person at the door. Babies in arms are always free. 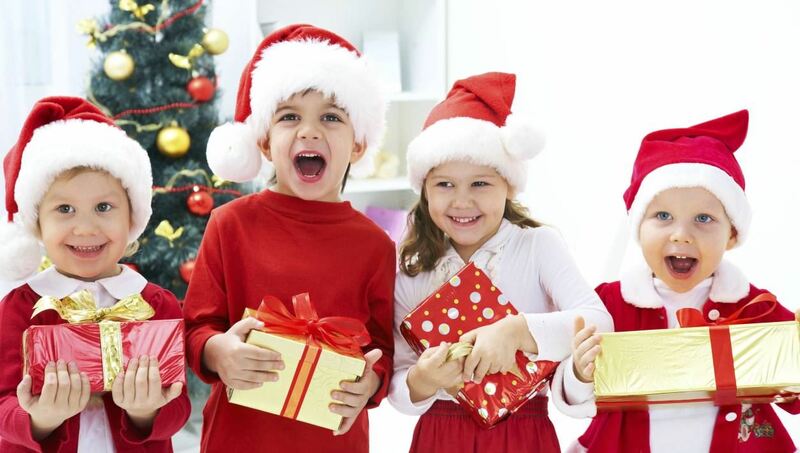 Treat bags for the kids, Refreshments, and a special visit by St. Nicholas himself! 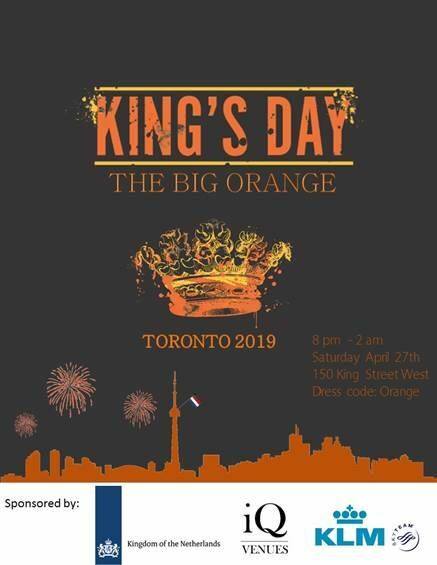 April 27, 2017 King's Day! January 19, 2017 CNBPA Social - Happy New Year! 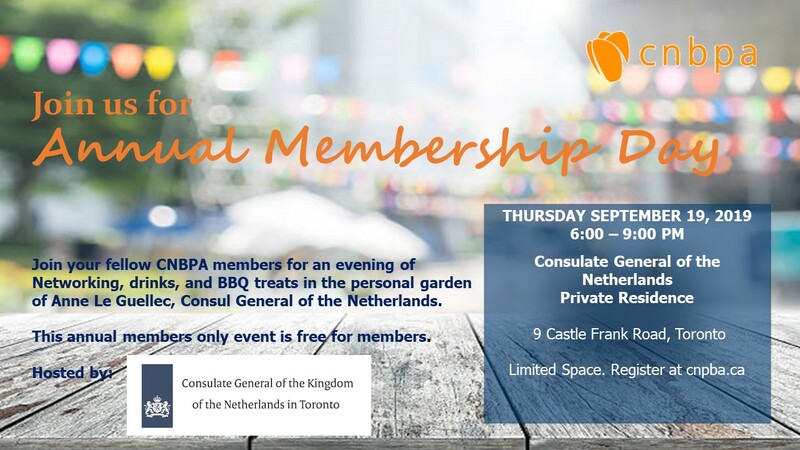 October 20, 2016 CNBPA and the Canadian German Chamber (CGCIC) Social: Oktoberfest!